I must say I am absolutely against legalizing on-court coaching. Tennis is a physical as well as a mental contest between two individuals--not two teams or two puppetmasters, and, to me, on-court coaching diminishes this. I think walking out on that court alone and having to work it out alone are a big part of what makes the game so compelling. Of course, I also find the rascally attempts at cheating sort of funny. There are some really ridiculous stories about bootleg coaching from the so-called Golden Age (aka, the '70s-'80s; maybe Gold Lamé Age is more appropriate) of tennis. *Thanks to Jerry Balsam for the photo; click on the photo to get the cleaner, uncropped version! 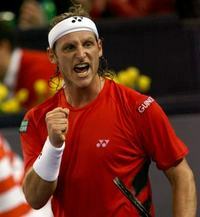 Federer on Nalbandian; Nalbandian and Tarzan? Nalbandian is a dead ringer for actor Christopher Lambert, who played the heroic mythical warrior in the film, The Highlander. Umm... what? Seriously, WTF are they smoking at Fox. Nalbandian looks nothing like Lord Greystoke. John McEnroe and Bjorn Borg did some tv ad for a Swedish real estate company called Vasakronan. Funny enough, and in English where it counts. Watch It. 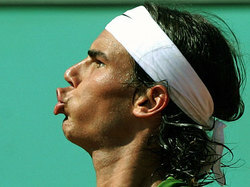 Nadal is obviously getting into Federer's otherwise uncluttered head. Two weeks ago, in their last meeting, in Rome, Federer screamed out, peeved, protesting that Nadal's uncle was illegally coaching him from the stands. Then the imperturbable Swiss master choked egregiously when he blew two match points. Maybe the rather startling fact is that, yes, we're watching the greatest tennis player ever right now ... only maybe it's not Roger Federer. 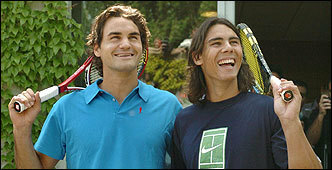 Read "Where Legends are Born"
At this point, these two should have their own contraction-- Brangelina, Bennifer... Fedal? Sweet-faced Mario Ancic, winner in 3 sets over Chilean Paul Capdeville, got into a shouting and shoving match with an irate Capdeville. Capdeville was upset about the call on match point and seemed to be annoyed that Ancic didn't wait for him to argue the call before raising his hands in triumph and jogging to the net. The umpire had to get between them, and Ancic slammed down his racquet. There's no way those two aren't going to throw words and maybe other things at each other in the locker room. Here's a full account of the incident and its aftermath. Poor Richard Gasquet just lost 6-0 in the 4th to #3 seed David Nalbandian, losing the last point on a double fault. Little Richard had the most forlorn puppy dog look on his face... I hope he bounces back fast. I'll add a match summary link when there is one. ETA: Here's a match summary. Another list of reasons to love Rafael Nadal, from El Pais. Thanks to Clara_Bow for the translation. 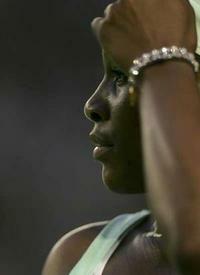 "When I play against him, I always have the feeling that he's better than me. He plays more aggressive, has more ease on his volley, serves better, and has more resources to attack... I have to play my best and try to hold on as much as I can. My only possibility is to drive him to despair, make him realize that he should win a point plenty of times, that he should do something else that he doesn't do when playing against others, and try to place him in a situation more extreme than those that he's used to. And, then, anything can happen." Read the Article: Nadal: "Federer is much more complete and much more elegant than me"
"Last year every time I won it was a surprise. But now, each time I lose it’s a surprise...People have a lot of expectations for you, especially a billion people in India. It makes it hard. 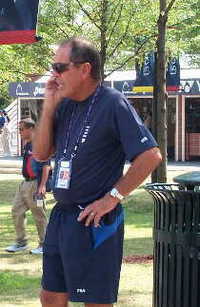 Serena to Work with Bolletieri? Serena Williams will this week turn to Nick Bollettieri in an attempt to salvage her ailing career, according to an informed source close to the former world No 1 and seven-times Grand Slam singles champion. Marat, Marat, Marat. What is there to say? We still love you. "Marat, You Will Forget My Birthday, Won’t You? Marat Safin is the tennis lover’s version of the handsome, irresistible cad (think of him as the anti-Tim Henman) who is forever breaking his girl friend’s heart by, oh, forgetting to call, failing to show up at the party, going stag to a wedding,leaving town for a week without saying anything, answering the heartfelt confession, “I love you!” with something like, “Oh. I’m glad for you” (yes, it’s a line from real life!)."